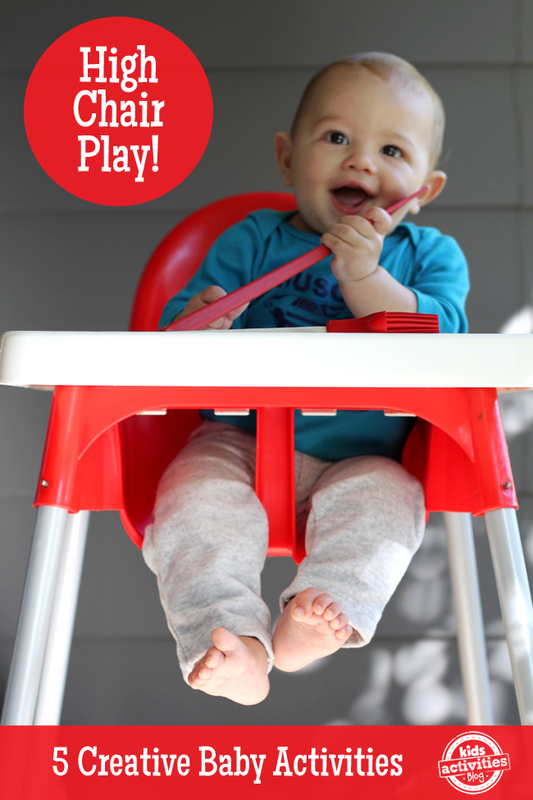 These fun and simple baby games happen in the highchair! These baby games can help you while you start dinner or do a few dishes because your little one can play safely next to you! 1. Giant ice cubes. Freeze oversize cubes of ice in cleaned plastic tubs (like yogurt containers) or Dixie cups. Place a few big ice blocks on the highchair tray and let your baby explore. Be sure to take them away as soon as they melt down enough to get close to fitting all the way in baby’s mouth. If the fall on the floor and remain whole, I’ve been known to rinse them off but you might want to skip that if you’re worried about germs. 2. Yogurt “finger painting”. You’re gonna want to break out the big bib for this one! Simply place a few blobs of yogurt on the tray and let them experience it. They will smear and taste and generally have a grand old time. If you’d like it to be more paint like, mix a bit of puree into the yogurt to color it. I like carrot for orange, avocado for green, and prune or plum for purple. 3. Noodles. Rice or pasta noodles are great fun for baby, place a few or a whole pile (depending on the mess you’re willing to clean) on the highchair tray. This is a taste safe sensory delight! 4. Utensils. This one is super simple. Spatulas, wooden spoons, and silicone brushes all make for high chair fun. Let them “drum” and chew to their hearts content. 5. Rings. This is my son’s all time favorite toy! 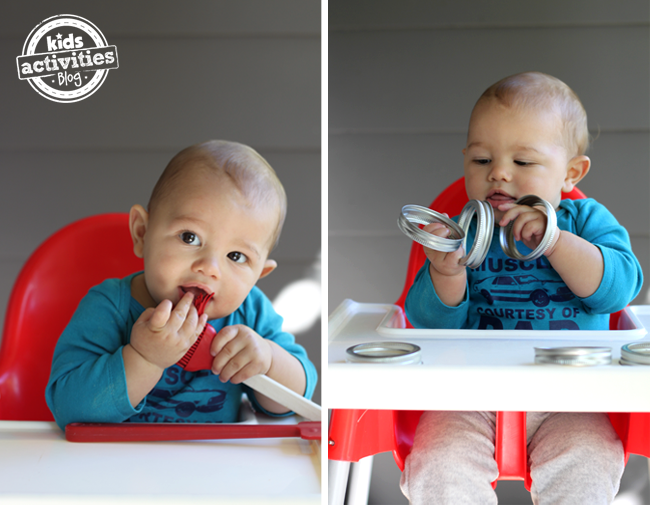 The metal rings from canning jars are just right as a highchair activity. 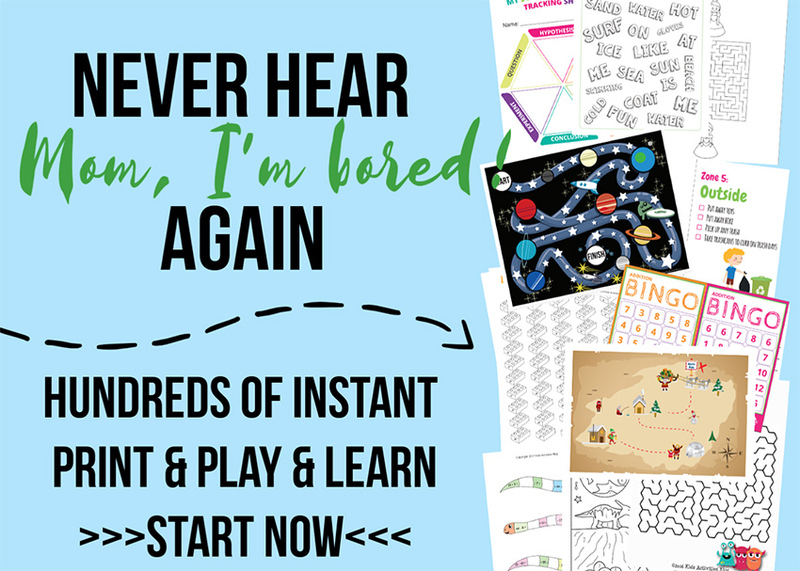 Stack them, wear them as bracelets, bang them, taste them: so many fun ways to play with these simple baby games! Now that high chair isn’t just for mealtime, it’s for baby games too! Looking for more ways to play with baby? 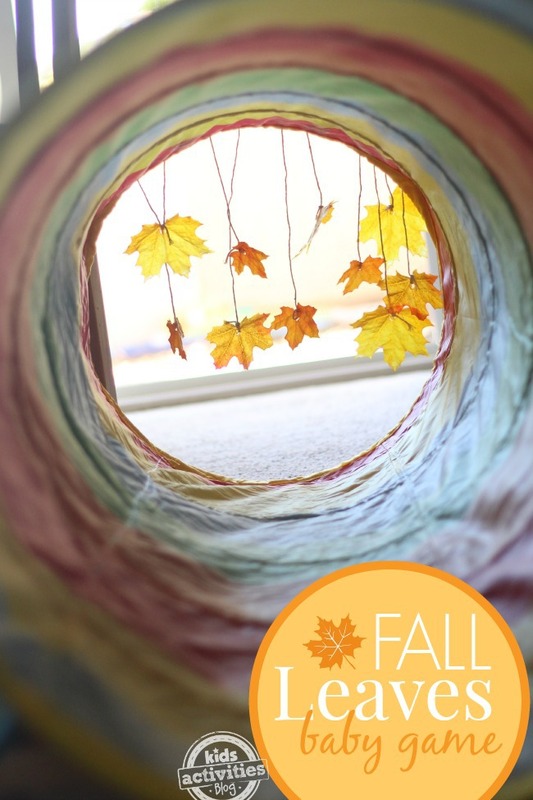 This Fall Leaves Baby Game is perfect if your little one(s) who are starting to crawl! Looking for how to keep your baby occupied all day? Here’s some tips! For more activity ideas for babies, please follow us on Facebook! Previous Post: « Make A Valentines’s Day Tree Craft This Valentine’s Day! Top Addicting Games provides the best free online games for baby, kids, girls. It’s really important to keep a close eye to keep your baby safe. But the true is we moms can’t handle all the things in one hand. We need to do something that we can keep close eye and also maintain the work. And this fun games are really worth the time. I think all the moms who read this article will be highly benefited.